You’ve heard the cliché—good things come in small packages—right? Never was this more true than in the case of these absolutely heavenly chocolate chip cookie dough truffles. 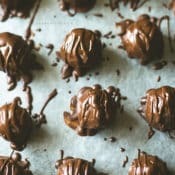 This recipe comes from Better Homes and Gardens, and as a cookie-dough-lover, these truffles transported me straight to heaven. As a kid, I used to sneak bites of chocolate chip cookie dough out of the bowl as my mom pressed rounded spoonfuls onto a baking sheet while making cookies. 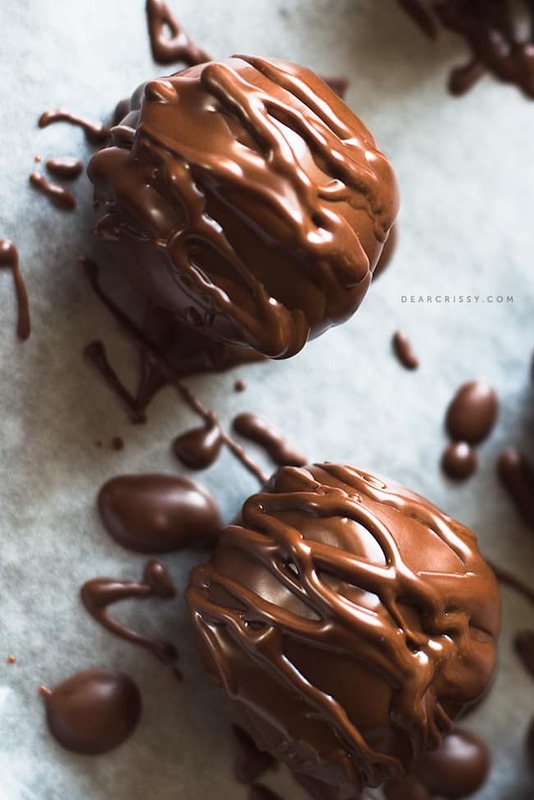 There is something special about chocolate chip cookie dough, and every ounce of that cookie-dough goodness that I remember from my childhood lives within these chocolate drizzled jewels. Every ounce. 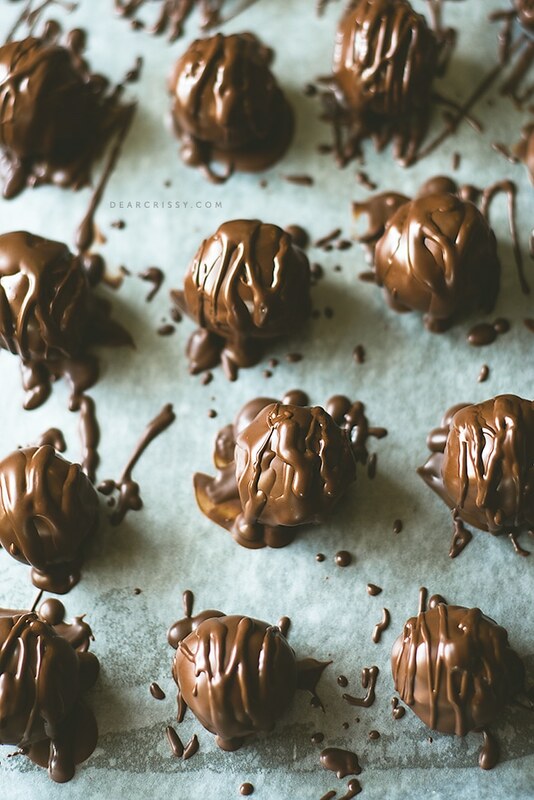 I will be honest when I tell you that these chocolate chip cookie dough truffles are decadent. 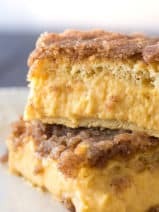 One of these little beauties will satisfy your craving, and it’s kind of nice to make a dessert that doesn’t leave you wanting for more after your serving has been devoured. This recipe is egg-free, so you can enjoy the sensation of eating real-deal cookie dough without having to worry. This is also no-bake recipe! When you reach the final step of drizzling the extra melted chocolate on top of the truffles, be sure to have a little fun, and don’t worry about being perfect. When it comes to melted chocolate, a little sloppy is always best, in my opinion. Put some love into it. I was surprised to see how perfect the chocolate chip cookie dough looked when I broke open one of the truffles. They were naturals in front of the camera. I’m just a huge fan of truffles. They are small, beautiful and just—special. 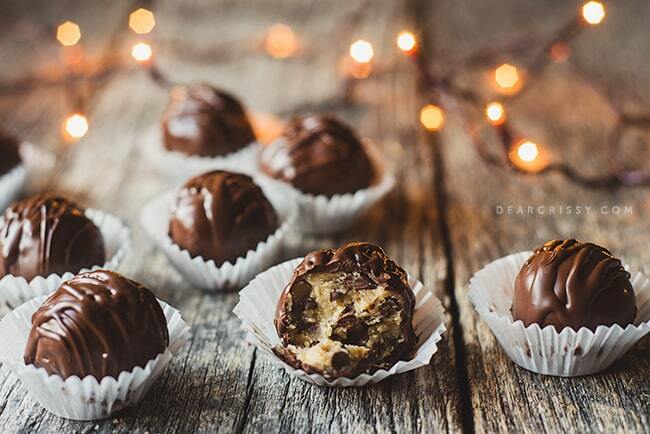 These particular chocolate chip cookie dough truffles are not only gorgeous, but taste amazing. 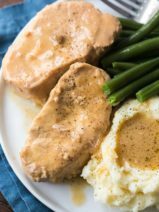 If you try the recipe, I hope you love them! 1. Line a baking pan with waxed paper and set aside. 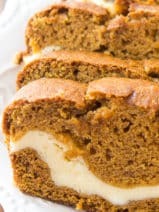 In a medium bowl, beat your butter, brown sugar and vanilla at medium speed until combined. Beat in the flour just until combined, do not over mix. Stir in chocolate chips and shape into 1-inch balls, placing them on your pan. Cover the balls and freeze for about 30 minutes. 2. Heat chopped chocolate, candy coating and shortening over low heat in a saucepan. Stir chocolate until melted and smooth. Remove from heat. 3. 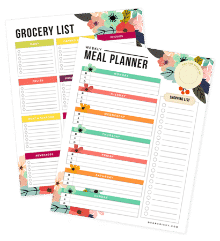 Line a baking sheet with waxed paper. Using a fork, dip the balls into the chocolate and allow excess to drip back into your pan. Place the chocolate coated balls on the lined baking sheet and let stand or chill about 30 minutes or until set. 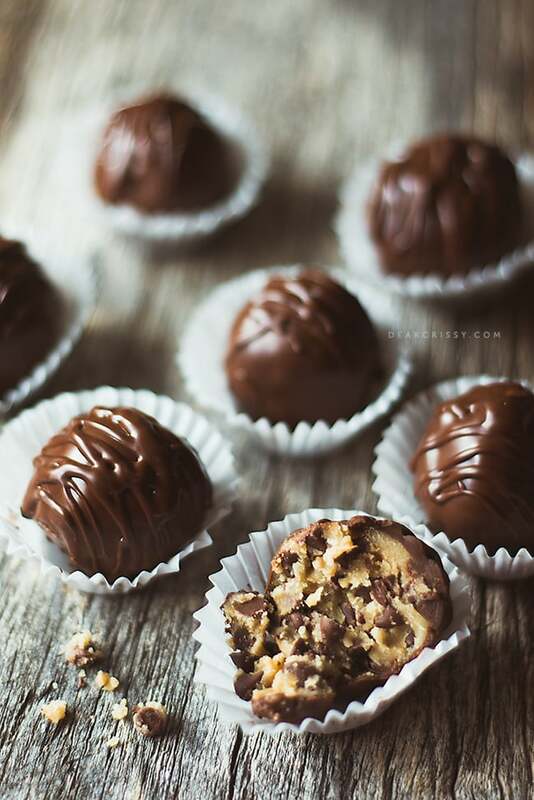 Now, drizzle with remaining chocolate to make the tops of the truffles pretty. 4. 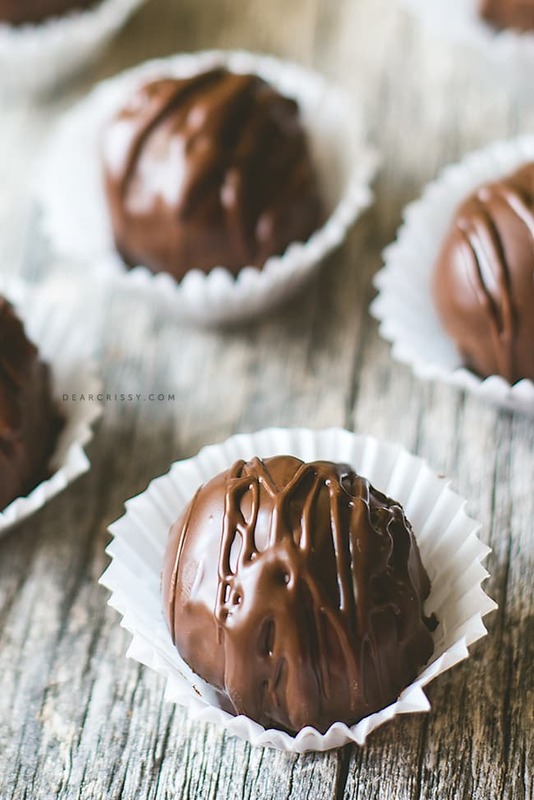 Place truffles in a single layer in an airtight container to store, keep covered. 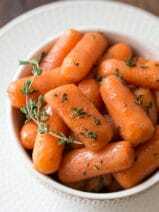 They may also be stored in the refrigerator up to 1 week. 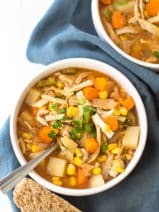 Recipe from Better Homes and Gardens. these look so good! can you just use a baking bar instead of the chocolate, candy coating, shortening mixture?! My dough for some reason came out very dry and sandlike. I may not have had enough butter (I always was bad at figuring out my tablespoon conversions. Plus 5.3 tablespoons is hard to measure) but it was easily fixed with an extra few teaspoons of vanilla, and a couple of teaspoons of milk. Them they finally held their ball shape. I could use a whole plate of these right now. They look soooo good! OH I see! No eggs. wondered how this could be good. My daughter said she had this at a friends and I thought OH boy. But this is something she and friends might enjoy making at a sleepover! thanks for sharing! Yum! 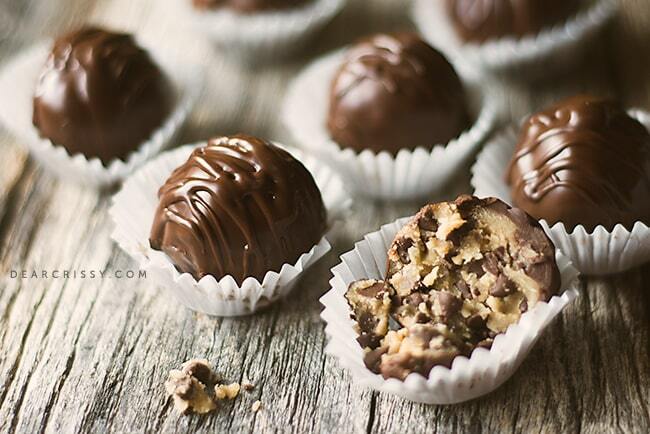 Those truffles look amazing. Can’t wait to try to make these. We hosted an exchange student from Japan this summer. We made cookies together and I snuck some of the dough. Our student, Maho, was appalled. I offered her some and she refused saying they don’t do that back home. I knew she had to try it so she didn’t miss out on that goodness any longer. I finally convinced her to try it. Oh man did she love it. She couldn’t stop sneaking the dough after that. I hope I haven’t ruined her for life! These look amazing. Plus tey are not that hard to make. My kids would devour these in no time. Thanks for the recipe. Crissy, such gorgeous truffles! The close-up photos are amazing. 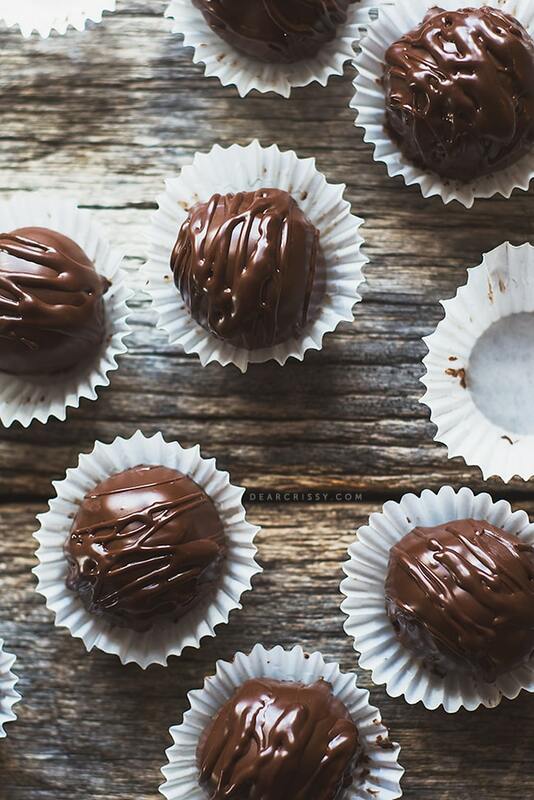 These truffles belong in a fancy chocolate shop – I would buy them by a dozen! Pinned! Oh my gosh. These sound SO good. And your photography is simply stunning! My mouth is watering, big time. Ooooh, these look and sound sinfully delicious! I totally want to make these as a Christmas treat! Those look delicious! I’m about to eat my computer screen! Seriously! I want these right now!